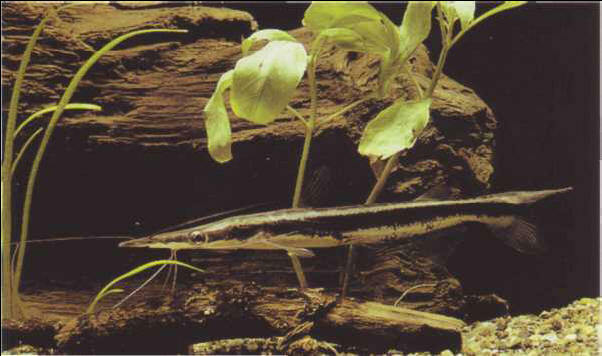 The peaceable shovel-nose catfish can reach 60 cm in length; a spacious aquarium is therefore essential. Mainly nocturnal; it is a greedy feeder, taking live prey or fresh food. There is a serrated spine on each pectoral fin.